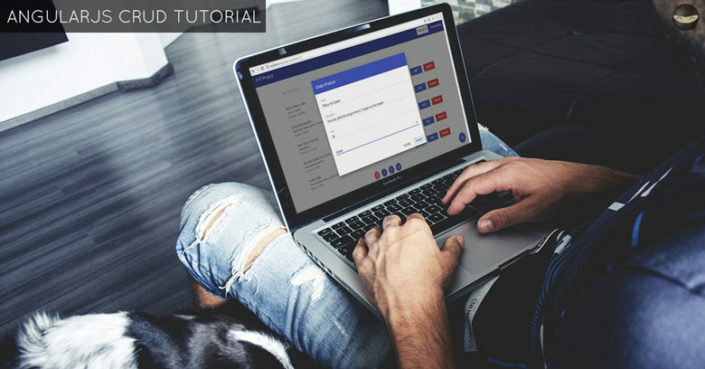 LEARN TO CODE TODAY, STEP BY STEP! Make 2019 the year you learn to code. Change your career, change your life. Through this site, I can help you do that. 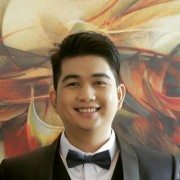 I’m Mike Dalisay, a pro software developer since 2010. 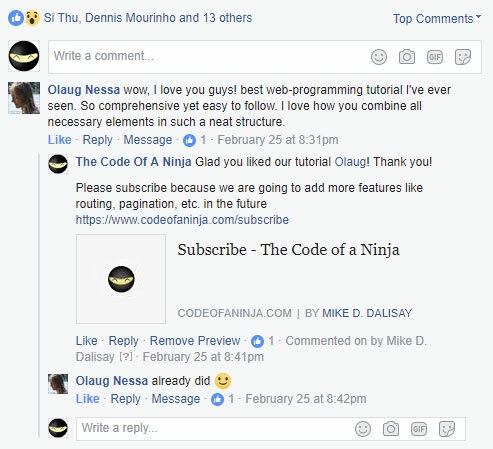 I’m the founder and author of codeofaninja.com programming blog. 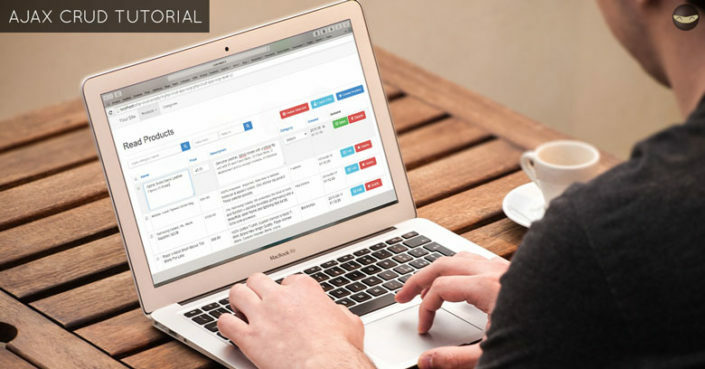 PHP is a popular general-purpose scripting language that is especially suited to web development. 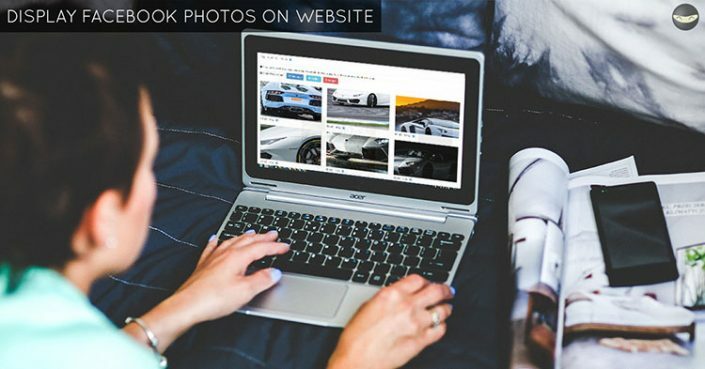 It powers majority of websites today including large brands such as Facebook, Flickr, Wikipedia and Tumblr. An API is essentially a way for programmers to communicate with a certain application. 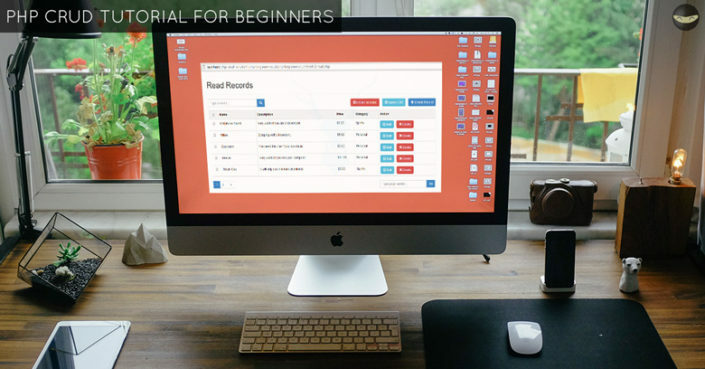 In our case, we will teach you how to read and format data from Facebook, Twitter and Instagram APIs. We will display the information on a website. 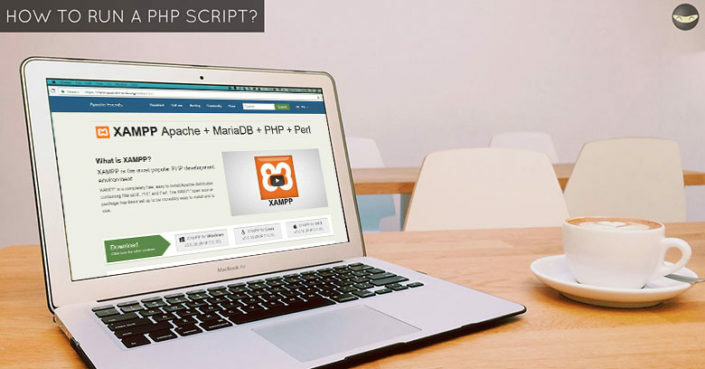 How to Run a PHP Script? Step By Step Guide! 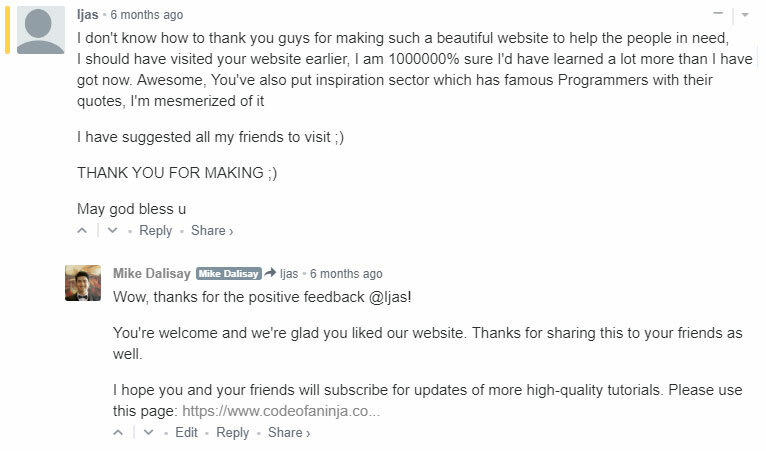 https://www.codeofaninja.com/wp-content/uploads/2013/06/how-to-run-a-php-script-2.jpg 408 780 Mike Dalisay https://www.codeofaninja.com/wp-content/uploads/2019/03/codeofaninja-with-text-3-1030x206.png Mike Dalisay2013-06-21 04:49:002018-05-28 06:03:49How to Run a PHP Script? Step By Step Guide! 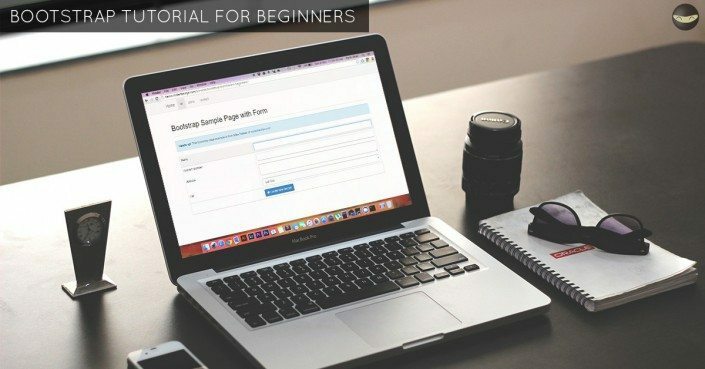 https://www.codeofaninja.com/wp-content/uploads/2011/12/php-crud-tutorial-for-beginners.jpg 408 780 Mike Dalisay https://www.codeofaninja.com/wp-content/uploads/2019/03/codeofaninja-with-text-3-1030x206.png Mike Dalisay2011-12-31 01:01:002019-03-09 18:51:50PHP CRUD Tutorial for Beginners - Step By Step Guide! AngularJS CRUD Example with Material Design - Step by Step Guide! ★★★★★ "I don’t know how to thank you for making such a beautiful website to help people in need. I should have visited your website earlier. I am 100% sure I’d have learned a lot more than I have got now. I have suggested all my friends to visit. May God bless you." ★★★★★ "Wow, I love you guys! The best web programming tutorial I’ve ever seen. So comprehensive, yet easy to follow. I love how you combine all necessary elements in such a neat structure." ★★★★★ "Thank you so much. I must admit, I love your tutorials. They helped me get hired you know. Thank you for taking the time to walk us through tutorials and making our lives easier." ★★★★★ "I just wanna say THANK YOU VERY MUCH for your tutorial! I don’t know what can I say to you… but it’s so fantastic. I love your tutorial, easy to understand. Thank you, thank you, thank you. :)"
★★★★★ "Hi Mr. Dalisay, My name is Clinton and I’m a front end designer. I purchased two scripts from you today. Thank you for your time and what a great tutorial and was happy to support your projects." ★★★★★ "Hi Mike, I bought the OOP CRUD before and it is the best learning tool I have ever purchased. Thank you!" ★★★★★ "Mike, thanks for the good work, God is using you to work in the world of programming. 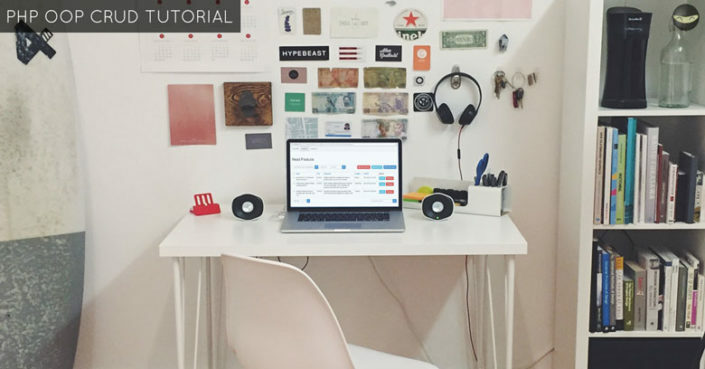 Since I stumbled on your site, I became 10 time better in programming with PHP." Share our site to a friend!